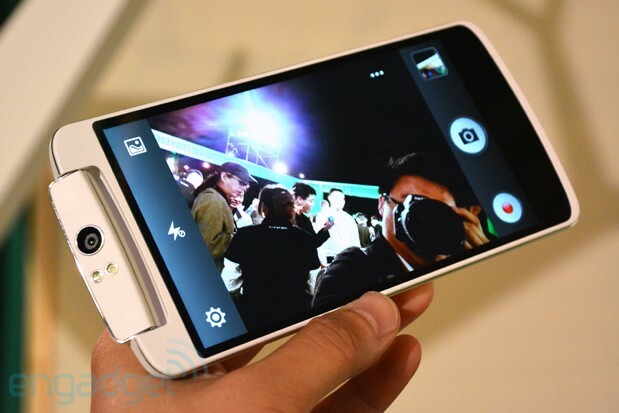 High-end mobile manufacturer Oppo recently debuted in the Indian market with its flagship smartphone Oppo N1. Priced at INR 39,999, the phone packs in the coolest features in providing the smartest user experience. The launch in New Delhi was an overall positive experience, as the manufacturer explained the advanced features in Oppo N1. One of the key points of the product is the 13-MP swiveling camera, which is usable at both surfaces of the phone. Users can enable the HDR features to improve the image quality further. The Oppo phone brings in the rotating camera for the first time in the Indian market. Many users buy new phones exclusively to use the advanced camera features. This phone is all set to entertain users with its advanced photographic features, given that they are ready to pay Rs 39,999. The pricing itself was a key buzz creator as users looked up the launch to find whether the technology is worthy of such a phenomenal price. The unibody construction of the gadget makes it extremely compact to hold and behold the full HD IPS 5.9 inch screen. The display effectively met the quality standards in terms of viewing angles, resolution, color reproduction, and brightness. The smart design integrates the volume rocker key and the power/lock key on the right side edge of the phone. The left edge is clean. The smartphone industry expected Oppo to launch the N1 with pre-installed CynogenMod. However, the product for the Indian market has Android jelly Bean 4.2 with a custom ColorOS UI on top. The user interface interprets commands from gestures, and it should take some time to familiarize with the protocol. The matte texture at the phone back embeds another unique feature. Essentially, Oppo incorporates a 12 cm2 touch panel at the centre of the back surface. Nicknamed as O-touch, this back panel simplifies single-handed usage of the phone. Users can take photos or scroll the phone options using the panel. The O-click is yet another unique feature introduced in the Indian smartphone market. The company explained that this brand new distant control feature allows users to operate the phone from a distance of 15 metres. One can conveniently attach the O-click with his/her keychains, and pair it with the Bluetooth of N1. The remote picture control facility is also helpful in locating your phone when it is within the reception range. The phone operates on a 1.7 GHz processor and embeds 16 GB default storage capacity.